KleenGuard Personal Protective Equipment (PPE) enables rather than inhibits – allowing for maximum productivity and safety for you and your employees. 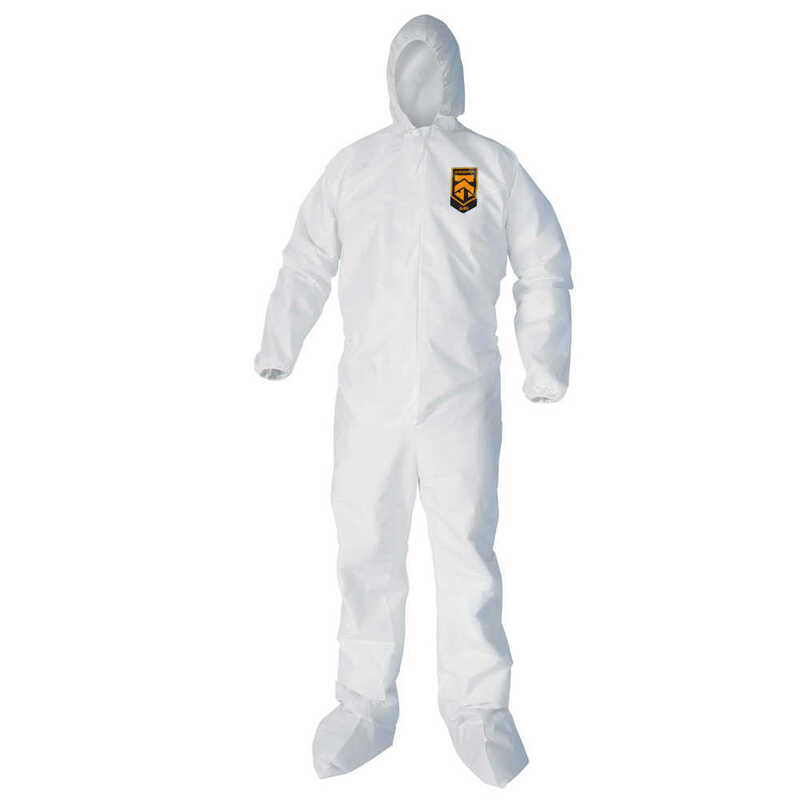 Kleenguard A45 Liquid and Particle Protection Coveralls for surface prep and paint are designed to move with workers where hazardous or non-hazardous contaminants may be present. 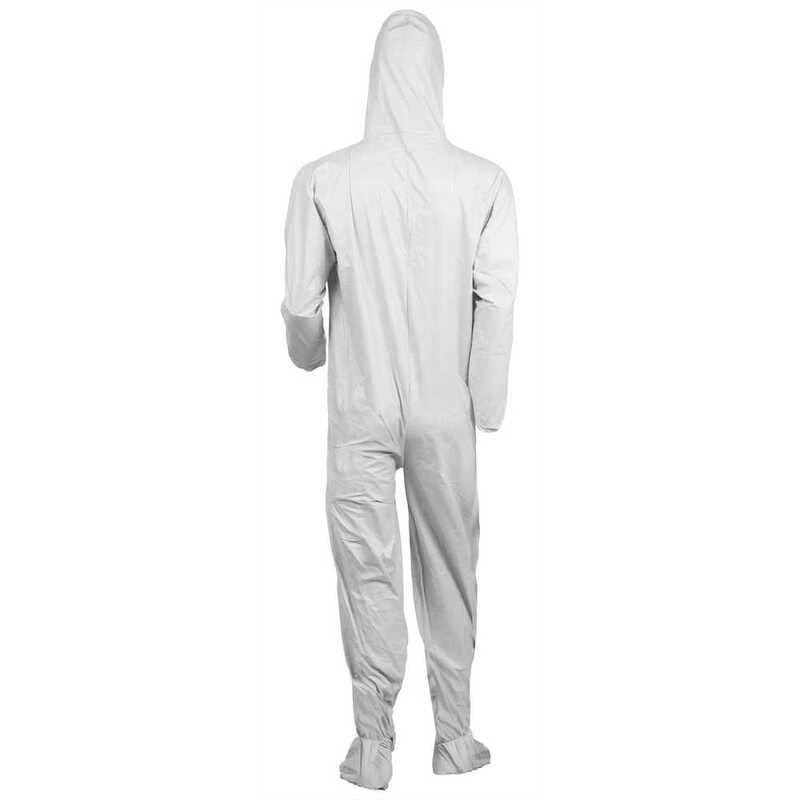 This model has a hood, boots, front zipper and elastic wrists and ankles (EWA) and are ideal for use in application areas where isocyanate (40%) and chromate (10%) dust protection is mandated. Each protective suit is made with lighter weight fabric (than Kleenguard A40) allowing for improved comfort, without sacrificing protection. Since these coveralls are designed for surface prep and paint, they allow more freedom of movement and less restriction, allowing the worker to compete the job without modifying the garment. The garments are not made with natural rubber latex and are silicone free. The Reflex Coverall Design offers excellent fit and freedom of movement and the hood is designed to fit with a respirator. These coveralls pass NFPA 99 for antistatic materials and feature serged seams and a water resistant zipper. Making the right Personal Protection choice is difficult. Perform with distinction with KleenGuard Personal Protective Equipment (PPE).